5 bedrooms, freshly renovated house for rent. Sleeps 21 people. 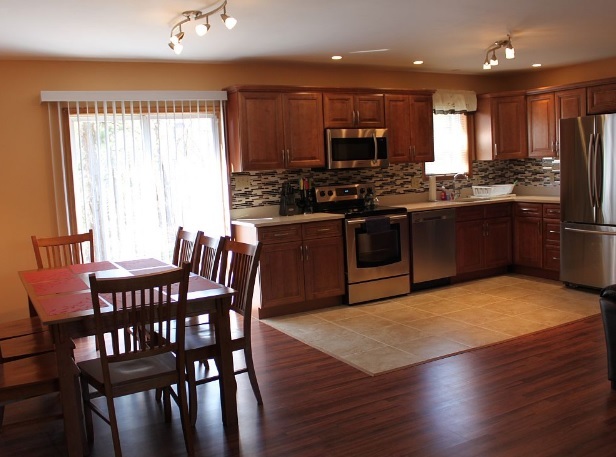 We have a freshly renovated house in a beautiful, amenity filled community Emerald Lakes in Long Pond PA. This is house is on the market since May 2016. We renovated the house entirely. 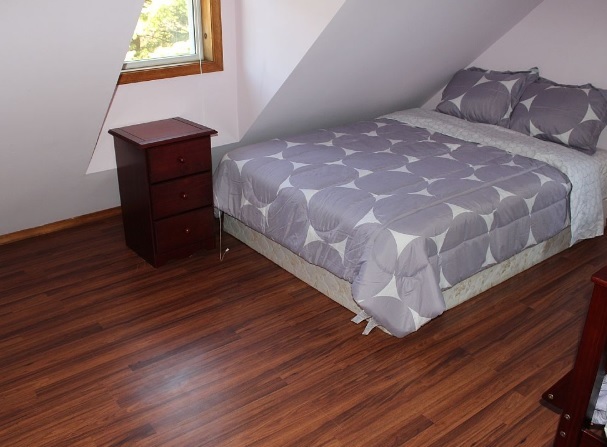 It has new bathrooms, new bedroom, new walls, new beds, new sheets, new gas fireplace, new (almost) everything. The house was empty. The house offers 5 bedrooms and 2 full baths (the one upstairs has a tub, so it's easier to give bath to children). Linens are provided. Bathing towels nor beach towels are provided. 4 bedrooms are located upstairs and one downstairs on the main floor with an open concept living room, dining room and kitchen. Downstairs bathroom offers a shower and upstairs offers a combination tub/shower. The house is perfect for 5 families with kids or group of good friends. It’s located in a private community Emerald Lakes, that offers many amenities including two swimming pools (one heated indoor and one outdoor), tennis courts, basketball courts, clubhouse with bar/restaurant,.